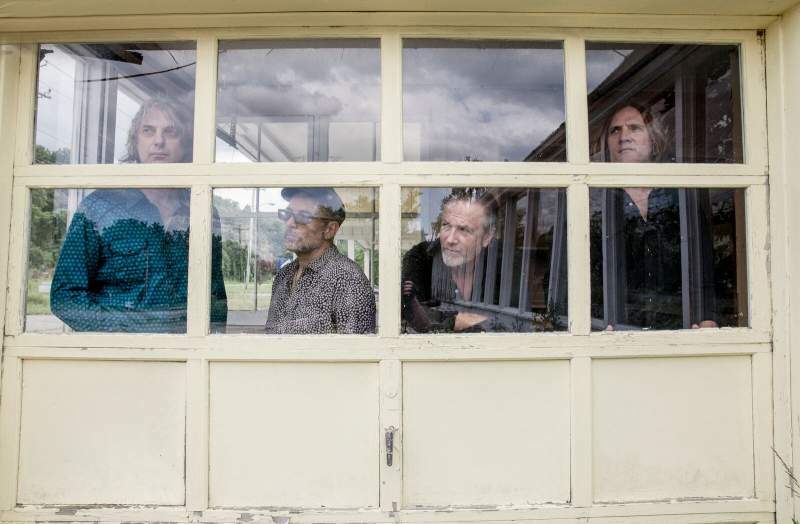 In the grand pantheon of Australian musicians, Steve Kilbey is pure royalty; he is an artist in the truest sense of the form, for whom the term ‘prolific’ does very little justice. It’s unsurprising that The Church, the group he has fronted for nearly 40 years, remain one of the most singular and dynamic bands that the country has ever produced. The music they have produced remains timeless (good luck finding a record from 1982 that sounds as pure and bold as The Blurred Crusade) and utterly unique; a radical evolution on the experimental rock and psychedelia that preceded them. Man Woman Life Death Infinity, released last October, is a quintessential Church record, with the quartet continuing to push their sound into new territory, their trademark duelling guitars remaining a force of nature. A multi-instrumentalist and professional musician since the age of 17, Kilbey is as dynamic and engaging in conversation as he is in song, as we discussed the new record, the creative process, and his relentless fight to maintain his creative control and integrity in an era when music was in thrall to the plasticity of the 80s. While re-reading Something Quite Peculiar [Kilbey’s eye-openingly brilliant 2014 memoir], I was taken aback at how much Kilbey really had to fight to get to where he is now. Coming from a part of Australia where there was no music industry, Kilbey was in two bands that nearly touched success, he then had to move to London and then Sydney in order to finally bring The Church to fruition. Does he feel that without all that persistence and lessons learned, The Church would still be going as strongly as they are today? I’m curious after so many years how Kilbey feels the band’s your creative process has evolved over time. “I let everything just happen [now]. Whatever I’m doing, whatever I’m working on, I let everything flow. And I don’t try and impose my will and expectations on it anymore, and that way I suppose we come up with things that I’m not expecting. Say, whereas, The Blurred Crusade, that was me turning up and saying ‘here’s a bunch of songs I’ve written: You’ll play this, it’s gonna be like this, and really the only thing that really had any leeway was the guitar solos, but everything else I had planned out. This album’s kind of the opposite of that. I go in and I have no idea what we’re gonna do or what sort of album we’re gonna make’. The Church play Newcastle’s O2 Academy on Tuesday 19th June.